These images are a little sad, but history can be sad when tragic things happen. 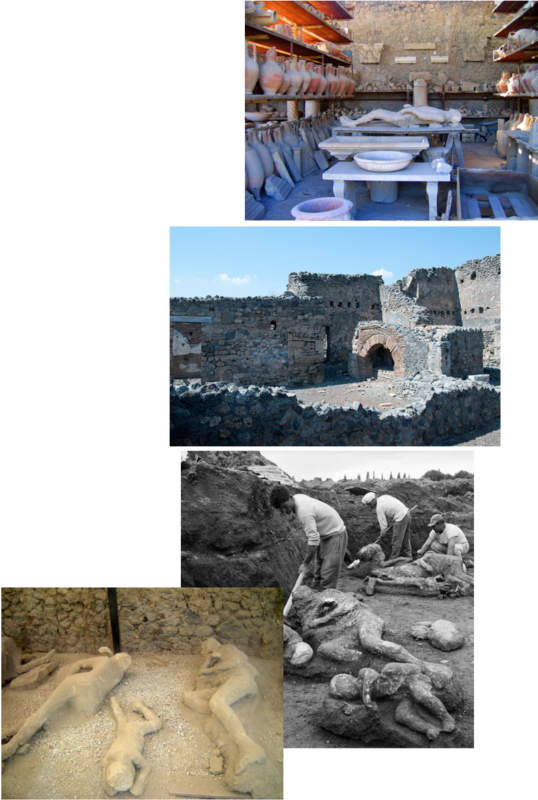 Here are some images of the ancient city of Pompeii that we read about in our story about volcanoes. This was an entire town devastated by an unexpected volcanic eruption. Families died in their beds, animals died, and the town was covered in lava and has slowly been excavated by archeologists. Hopefully these images will help you to learn more about this city. One day, after college, when you have wonderful job with good salaries, I hope that you'll hop on a plane and go and visit the city yourself. The world and history are amazing places to explore.